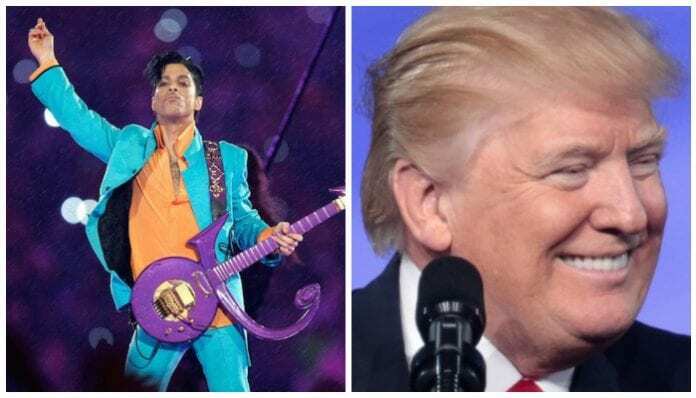 President Donald Trump has been issued a cease and desist letter by Prince’s estate over the use of “Purple Rain” at rallies. “Purple Rain” is used frequently by the President. It was played just last week at Trump’s rally in South Haven, Mississippi. Prince’s estate has demanded that use of the song be stopped immediately. “The Prince Estate has never given permission to President Trump or the White House to use Prince’s songs and have requested that they cease all use immediately,” Omarr Baker, the late singer’s half-brother, told TMZ. This isn’t the first cease and desist Trump has received following his use of music at rallies without permission. Steven Tyler‘s lawyer served the President over the summer for using Aerosmith songs illegally. The Rolling Stones have also been trying to get their music off his speakers for years. Licensing deals have made it notoriously difficult for musicians to pull their music from public events like these. That being said, Prince’s Estate is infamous for fighting back when it comes to Prince’s music.